The Vascular Technology (VT) specialty examination is administered by the American Registry for Diagnostic Medical Sonography (ARDMS) to certify the continuing competency of ultrasound professionals. Exam takers must successfully pass both the VT exam and the Sonography Principles & Instrumentation (SPI) exam to earn their Registered Vascular Technologist (RVT) credential. Examinees are given three hours to complete the VT exam, which consists of 170 multiple-choice questions covering the anatomy, pathology, and sonographic evaluation of the human vascular system. The VT specialty examination questions are divided into percentage-weighted topics based on knowledge of vascular anatomy and physiology, hemodynamics, diseases, arteriography, angiography, and various diagnostic tests and visualization modalities. There are numerous online resources for preparing to take the Vascular Technology specialty examination for the RVT credential, including content outlines, study guides, and sample questions based on the actual test. 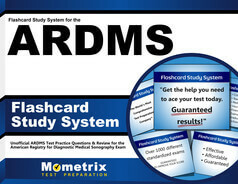 Printed study guides with sample exams and test-taking strategies are also available from several publishers. To take the VT specialty examination, candidates must complete the application forms, register with the ARDMS, and pay any exam or renewal fees. To earn a credential, candidates must also pass the Sonography Principles & Instrumentation (SPI) exam within five years of passing the specialty exam. The two exams can be taken in any order. Candidates who are not first-time applicants are subject to different rules and requirements. To apply, examinees must submit qualifying documentation, including proof of formal education; verification of clinical experience; transcripts and licenses; and letters from a supervising physician, technologist, or program director. 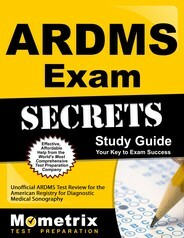 The ARDMS provides comprehensive guidelines for the application process, including step-by-step outlines and checklists for how to apply for, register for, schedule, and take both the VT specialty and SPI exams. Once a candidate has taken the Vascular Technology specialty exam, he or she will receive test results in the form of a numerical value between 300 and 700. A result of 555 or higher is a passing grade. Candidates who do not pass the exam must wait a minimum of 72 hours before reapplying and 60 days to repeat the exam.